SKOPJE, Macedonia (AP) — Macedonia’s main opposition conservative party says a prospective deal with Greece to rename the country “North Macedonia” is “dead” after Sunday’s failed referendum. 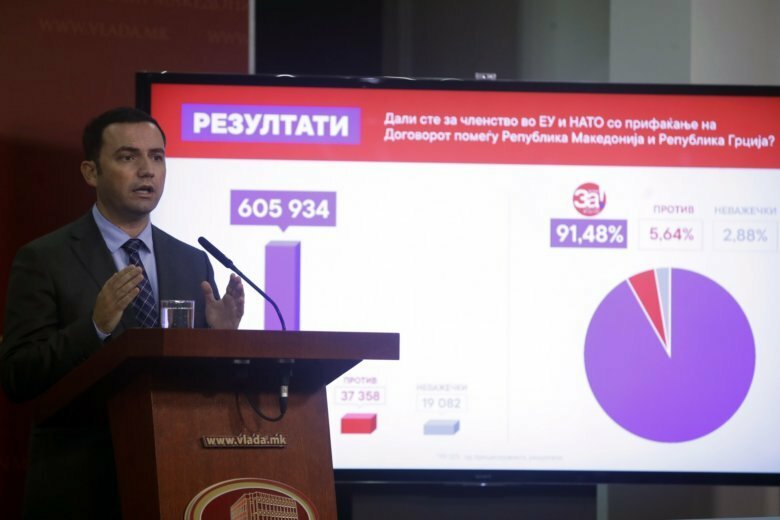 VMRO-DPMNE also called for a caretaker government before an early election expected in late November. It said late Wednesday this would ensure a “fair and democratic” vote. Macedonia’s electoral commission ruled Sunday’s referendum — which overwhelmingly endorsed the name-change — invalid because of low turnout. Greece says Macedonia’s name implies claims on Greek territory and cultural heritage. If Macedonia is formally renamed North Macedonia, Athens will lift its objections to the country’s NATO and European Union accession. Macedonia still must amend its constitution for the name-change. The left-led government lacks enough seats in parliament for that, and says it will call early elections if the motion fails.